Tricks of the Trade; How to Work with Recruiters - Treeline, Inc. Here at Treeline, Inc., we specialize specifically and solely in the career advancement of sales executives across the nation. We are a free service to those individuals who are looking for new opportunities. Contingency based recruiting firms establish relationships with the hiring managers of companies that have a hiring need. They use search firms because they can't find the talent they need with their own resources. That means that companies hire recruiters to be the first line of attack in their search for people that meet their requirements. Recruiters are expected to be the gatekeepers for their clients. The #1 goal for every recruiter is to find someone who possess the right skills set, background and of course personality that their client is looking for. In the contingency recruitment game, I have heard, "Recruiters only want to earn their commissions and don't care about the well being of their candidates." Or, "I never get a call back after I speak with a recruiter and they seem to drop off the face of the earth." And then, if interviewed, "I never can get any feedback." It's important to understand that most recruiters are working on specific openings that require certain skills and background. Our mission is to help all our candidates find a job, but the reality is that we are not always successful at finding the perfect match for everyone. 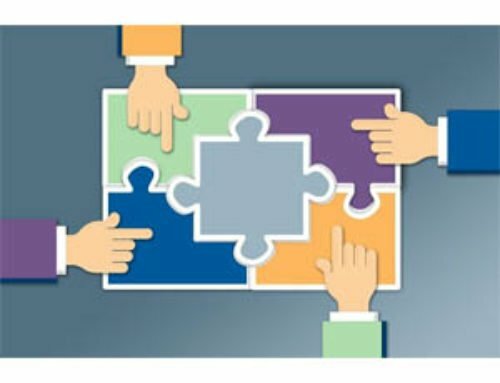 Remember, there are various pieces to the job search puzzle that must all come together to make a fit. We strive to give each person the service they are looking for, but do not always have an opportunity that aligns with their background, location, compensation and overall ideal job. This is when candidates tend to get frustrated and lose sight of the job search process and relationship with their recruiter. Take a step back and consider these ideas on how to build a solid partnership with a recruiter to ultimately find that dream job. Partnering with a recruiter is advantageous. Recruiters have access to hidden jobs that you otherwise would not hear about. Remember we are in this together. So if your background aligns with the job we are recruiting for – you will hear about it! The first thing you must consider is your level of seriousness. Are you determined to find a new opportunity at all cost? There is nothing worse than wasting time. Recruiters are compensated on their performance and if you're not ready to make a move then do not expect a lot of attention from a recruiter. Once you have determined that you are ready to make a move then be prepared to put time and effort into the search and most importantly work with a strong sense of urgency. You apply to every single job listed from entry level to a CEO role and my inbox is filled with 50 different applications for the same candidate. Be alert, attentive, and have energy! Be prepared for your recruiter to ask tons of questions. If you are reluctant to share information, numbers, W2 history, quota, work history, etc then expect that your recruiter will have a difficult time recommending you to their clients. 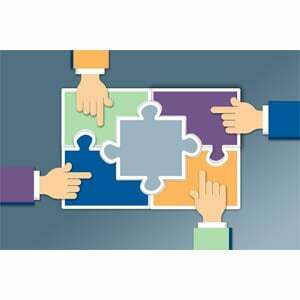 Recruiters WANT to partner with you so work with them. Remember, recruiters are there to help you and give you advice. If there is no open communication then it will be a waste of time for everyone involved in the process. Recruiters earn compensation for finding the right person for their clients. That is our business model and always will be. In case we do not have an opportunity that fits your criteria, do not take it personally. Remember, this is your search and we are trying to find the right fit for our client as well as you. Would you rather have many unqualified jobs thrown at you or would you prefer a more tactical approach to your search? What will add more value? Final thoughts; always build a great relationship with your recruiter. I am a strong believer in Karma and things do come full circle! If a recruiter has spent time with you and there are no open job opportunities that fit your criteria, then continue to build the relationship. The market shifts and things change on a daily basis. We may not have a perfect fit today, but there is always tomorrow! Be motivated about your search, build a partnership, be open and honest, be patient, and listen. You will find success.